SUPPORT YOUR LOCAL SHERIFF! is played strictly for laughs. It’s broad performances and slapstick situations won’t strain your brain, but will give you an hour and a half’s worth of escapist fun. Easy going James Garner has the lead, with solid comic support from Joan Hackett, Walter Brennan, Harry Morgan, and Jack Elam. Director Burt Kennedy made quite a few of these, and this is probably the best of the bunch. While burying an itinerant drifter, the townsfolk of Calendar, Colorado discover a mother lode of gold. The subsequent boom turns Calendar into a lawless, rowdy town that can’t keep a sheriff alive long enough to tame it. The town elders also can’t get their gold through without paying a 20% tribute to the mean Danby clan. Enter our hero Jason McCullough (Garner), who applies for the sheriff’s position “on a temporary basis…I’m on my way to Australia”. Jason is a crack shot and fast on the draw, but prefers to use his brains over his gun. He locks up Danby brother Joe, much to the consternation of Old Man Danby. Mayor Perkins gives Jason free room and board to stay in town and clean it up. He’s got a klutzy daughter named Prudy, who first discovered the gold, and keeps getting into embarrassing predicaments whenever Jason’s around. Jason hires “town character” Jake as his deputy after Jake backs him up in a saloon showdown. After several attempts at killing Jason fail, the Danbys gather all their relatives to descend on Calendar. Mayor Perkins and the townsfolk cower in fear, and Jason has only Jake and Prudy to rely on in the frenetic final confrontation with the Danby clan. Credit director Burt Kennedy for his homages to the films of John Ford in this. 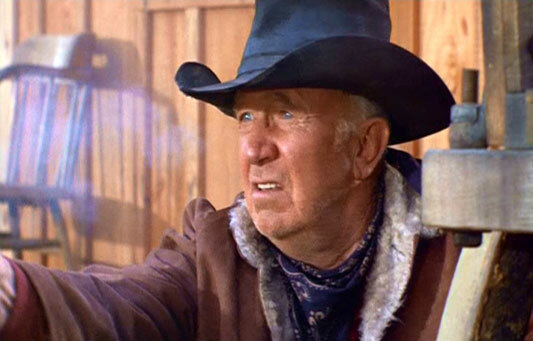 Of course there’s triple Oscar winner Walter Brennan, lampooning his role of Old Man Clanton in MY DARLING CLEMENTINE. 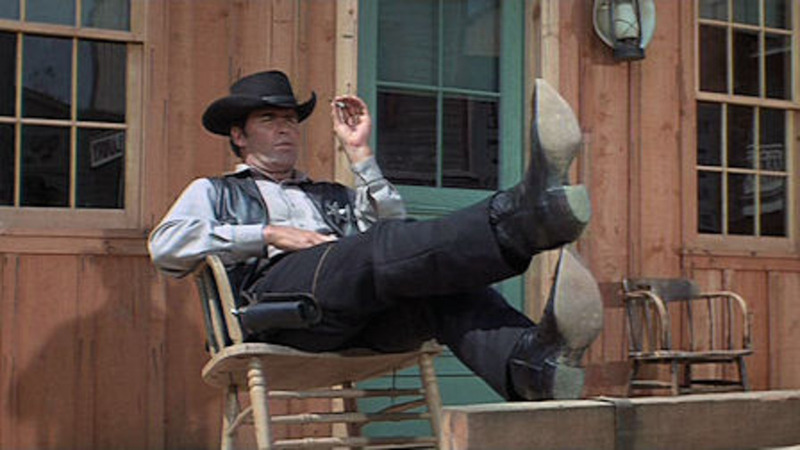 There’s another nod to CLEMENTINE with Garner sitting on the porch, leaning his chair back and trying to put his feet up a’la Henry Fonda. Ford regular Danny Borzage has a bit as the accordionist at the drifter’s gravesite. And that climactic gunfight has echoes of the OK Corral, only with a much more humorous outcome. Burt Kennedy got his start writing for John Wayne and Randolph Scott before penning and directing the 1965 hit THE ROUNDERS, starring Fonda and Glenn Ford. Some of Kennedy’s other sagebrush spoofs were THE GOOD GUYS AND THE BAD GUYS (1969, with Robert Mitchum), DIRTY DINGUS MAGEE (1970, featuring Frank Sinatra), and the TV movies ONCE UPON A TRAIN and WHERE THE HELL’S THAT GOLD? (both 1988) starring singer Willie Nelson. 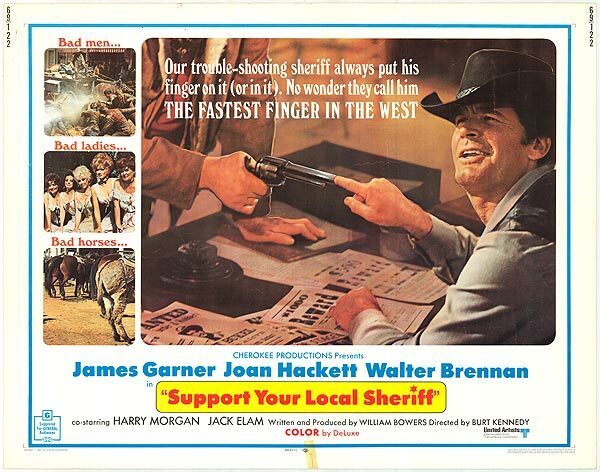 There was also a sequel of sorts, 1971’s SUPPORT YOUR LOCAL GUNFIGHTER, reuniting Garner and Elam. He also made some serious Westerns, like WELCOME TO HARD TIMES (1967), HANNIE CALDER (with Raquel Welch, 1971), and Wayne’s THE TRAIN ROBBERS (1973). Kennedy wrote the screenplay for Clint Eastwood’s WHITE HUNTER, BLACK HEART (1990), and directed his last film SUBURBAN COMMANDO (with Hulk Hogan) in 1991. Besides Garner doing his laid-back thing, the rest of the cast also gets into the silly spirit. 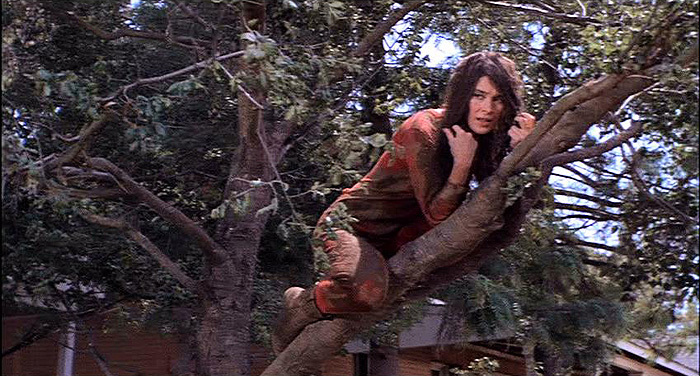 Joan Hackett was an underrated actress who never really got her due, adept at both comedy and drama. Some of her films were THE GROUP (1966), WILL PENNY (1968), and her Oscar nominated role in Neil Simon’s ONLY WHEN I LAUGH (1981). 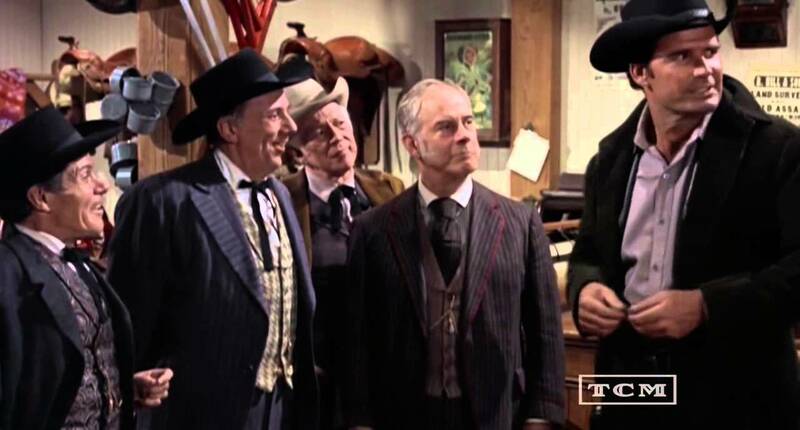 Harry Morgan brings his comic expertise as Mayor Perkins, while vets Henry Jones, Walter Burke, and Willis Bouchey are the other town fathers. Brennan is fine as always, and a young Bruce Dern shines as his deadly but dumb son Joe. 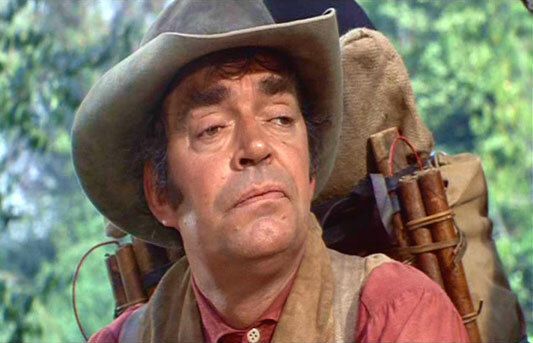 The standout here is Jack Elam. After many years of playing gunfighters, gangsters, and goons, Burt Kennedy gave Elam a chance to show his comic side, and the old rascal nails it. His Jake is a simple-minded, reluctant deputy, and the perfect comic foil for sharp sheriff Garner. 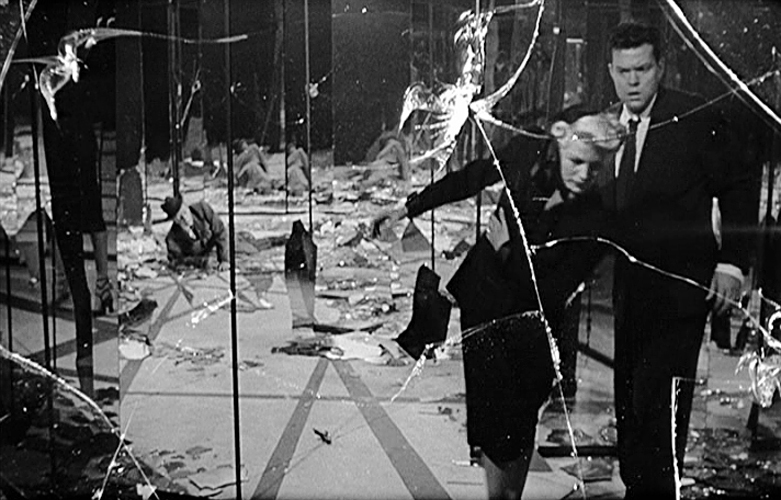 Elam even gets to break the Fourth Wall at film’s end to deliver the movie’s punchline. Elam went on to be a go-to comic sidekick for the rest of his career, passing away in 2003. SUPPORT YOUR LOCAL SHERIFF! doesn’t blaze any new Western trails and probably won’t make anyone’s Must See lists. It will make you laugh, though, and it’s fun to watch genre vets like Garner, Brennan, Morgan, and especially Jack Elam go through their comic paces. Recommended for one of those days when you need a good chuckle to chase the blues way.